Woodberry was born in Johnsonville on Feb 22, 1889 to Wattie Gamewell Woodberry, Sr. and Rosa Belle Eaddy (first woman mayor in South Carolina history). He was the great-grandson of Henry Eaddy. “Johnsonville, where I was born and lived in my youth, had a post office, a general store, and not much more. The settlement centered around the crossroads that went west to Lake City and Florence. The nearest railroad was 23 miles away (at Lake City) and roads leading thereto were sandy and rutty. Mail came in by road cart, usually daily. The Lynches River, two miles away, was used for floating timber to market, but was not suitable for powerboats. The Great Pee Dee River, into which the Lynches flows nearby, boasted at that time a weekly steamboat (The Farmer and later The Merchant) that brought bulk supplies from Georgetown. The nearest landing was Allison, some five miles across the Lynches River. Neither river had bridges at that time. Hand propelled flats were used for crossing. “Outside of the general store, there was a cotton mill, a grits mill, and a blacksmith shop. The old turpentine still and the rice-hulling mill, along with the barrel factory and the stage stables were visible but abandoned structures. “The general store was not only the grocery store, but the supplier of credit for fertilizer, advancement of money to pay for labor costs, and farm supplies of every nature. In my early days it was operated by Georgetown people, who controlled the steamboat. ‘H. Kaminski, King of the (Georgetown) Jews, humpback britches and brogan shoes’ was a popular ditty back then. “Meat, other than butts meat, was largely from hogs raised locally, and in some cases, in the Pee Dee Swamp, Marion County side. The rivers provided fish and the swamps wildlife. Hog meat was cured by immersing in brine or smoking in the family smokehouse, or both. “Fresh beef came in occasionally, when a Mr. Britton came around in his wagon, hauling a freshly killed cow resting sanitarily on a bed of fresh pine needles. When his delivered price went up from five cents to six cents a pound, there was a general howl, but it was the only beef that could be bought. There being no ice available, except occasionally in the winter months, the average farmer hesitated to kill his own cows. 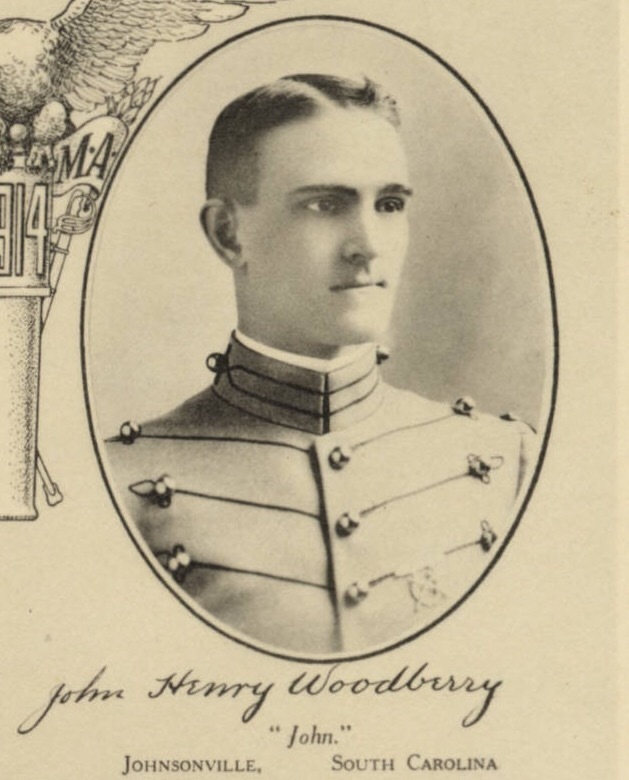 Gen. Woodberry entered the United States Military Academy at West Point in 1910 and graduated with a Bachelor of Science in 1914. 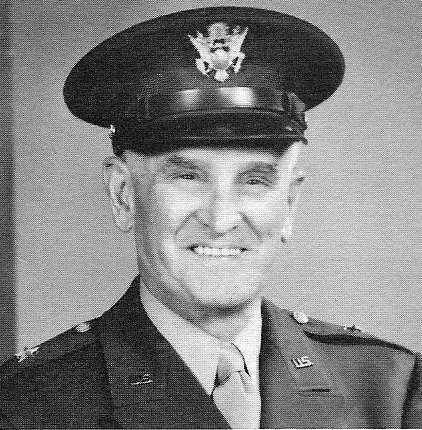 Afterward he was commissioned a Second Lieutenant in the United States Cavalry. Information compiled by Vanik S. Eaddy, Ph.D.